We know distilled water is among the purest drinking water you can get from a water filtration system. There are many other benefits of distilled water other than just drinking water. In fact, many manufacturers strongly recommend using distilled water in order to prolong the life of their products. 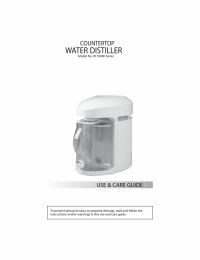 Below are some typical home and commercial applications for water from your distiller.